Invest in your driving experience with Kia Atlanta South. Our auto service center is your destination for a Kia tire rotation near Atlanta, Georgia. 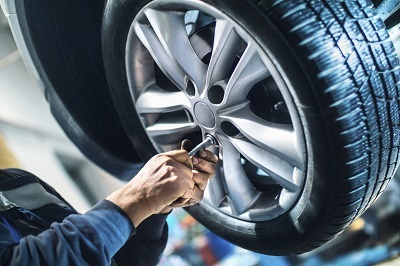 This routine Kia service is the best way to defer the need for new tires. After a detailed tire inspection, we perform a tire change to ensure all your wheels are getting even wear. With this simple Kia maintenance service, you can prolong the life of your tires for thousands of miles. Although the rotation needs of every tire make are different, we recommend that you get a tire inspection every 6,000 to 8,000 miles. Stop by our auto service center near Atlanta, GA today and take the steps to keep your vehicle performing its best! Get a Tire Consultation at your Atlanta, GA Kia Dealership. We set our standards higher at Kia Atlanta South. As a certified Kia dealer, we aren't just dedicated to your vehicle: we adhere to a strict set of vehicle service guidelines put in place by the manufacturer. This means that you're getting Kia repair designed just for your vehicle. Our expert auto service mechanics are dedicated to making every service, from a new battery to brake repair, simple and quality-driven. Visit our auto service center near Atlanta, GA to get service that will help your Kia model keep up with your drive for adventure. Every Kia service need has a solution at Kia Atlanta South. It starts with our Kia-certified auto mechanics, who come with years of experience and professional certifications to match. They can handle everything from testing your tire pressure to fixing your transmission. When you turn to our location near Atlanta, GA, there's always a solution waiting for you. Schedule your next service appointment with our auto service center near Atlanta, GA today by utilizing our online scheduling tool now.